"An extremely captivating story told in part by the spy himself to the author about his secret activities on behalf of North Vietnam. 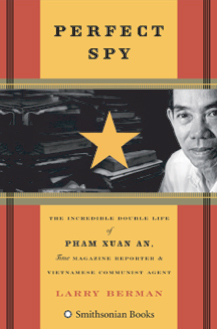 One has to concede that through deception and self control, Pham Xuan An fooled everyone with his cover, including his most trusted friends in the news media and inside the South Vietnamese government." 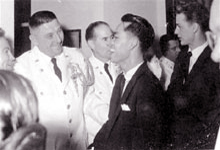 - Bui Diem, Former Ambassador of South Vietnam to the U.S.
Partners in Power Perfect Spy illustrates the proposition that truth can be stranger than fiction. Larry Berman has brilliantly captured Pham Xuan An's incredible double life. His book is informative history with the attributes of a Cold War spy thriller. Reporter in Indochina	 Pham Xuan An was my colleague, teacher and friend -- and the person who saved my life in a long-ago war. I thought I knew him as well as any American, until I read Larry Berman's book. There were revelations for me on every page. Tulane University	 An intriguing story of clandestine activities during the Vietnam War. Berman, one of America’s best historians, breaks incredible new ground in these pages. An important new addition to our understanding of the Cold War battles in Southeast Asia. A must-read.